While many cities are known for their expanding skylines, action-packed nightlife, and bustling communities, Kansas City, Kansas has all of that incorporated into a small, diverse, and family oriented community. It has some of the big city amenities with a small town down-home appeal. Kansas City, Kansas is the third largest city in the state of Kansas and is the county seat of Wyandotte County. The city was incorporated in 1886 and for 73 years was governed by a three-member elected Board of Commissioners. In August of 1982, the city held an election and voters approved a change in the form of city government. Under the Charter Ordinance No. 84 the city changed to a seven-member, Mayor-Council-Administrator for of government in April, 1983. Wyandotte County citizens set the stage for today’s economic development successes in 1997 when they overwhelmingly agreed to consolidate the county government and City of Kansas City, Kansas government. The community was suffering from years of economic hardships and decline. Citizens were ready for a rebirth. The new form of government was the beginning of the landmark renaissance in the community. Jan 20.4 F° 29.1 F° 37.7 F° 1.1 "
Feb 25.9 F° 35.0 F° 44.1 F° 1.0 "
Mar 35.6 F° 45.7 F° 55.7 F° 2.4 "
Apr 46.1 F° 56.3 F° 66.4 F° 3.3 "
May 56.8 F° 66.5 F° 76.2 F° 4.7 "
Jun 66.4 F° 75.9 F° 85.4 F° 4.7 "
Jul 71.7 F° 81.1 F° 90.5 F° 3.7 "
Aug 69.8 F° 79.3 F° 88.7 F° 3.6 "
Sep 60.8 F° 70.4 F° 80.1 F° 4.3 "
Oct 48.8 F° 58.8 F° 68.8 F° 3.3 "
Nov 35.8 F° 44.6 F° 53.4 F° 2.3 "
Dec 24.9 F° 33.4 F° 41.8 F° 1.5 "
Spring temperatures are cool with averages in the mid 50's and highs in the mid 60's. Nights are cold with lows in the mid 40's. Summer temperatures are warm with averages in the upper 70's and highs in the upper 80's. Nights are mild with lows in the upper 60's. Fall temperatures are cool with averages in the upper 50's and highs in the upper 60's. Nights are cold with lows in the upper 40's. Winter temperatures are cold with averages in the low 30's and highs in the low 40's. Nights are cold with lows in the low 20's. 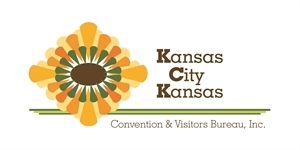 Kansas City, KS has a variety of volunteer opportunities through it's various non-for-profit organizations including the Unified Government of Wyandotte County, Kansas City, KS, United Way, Red Cross, Public Library and more.